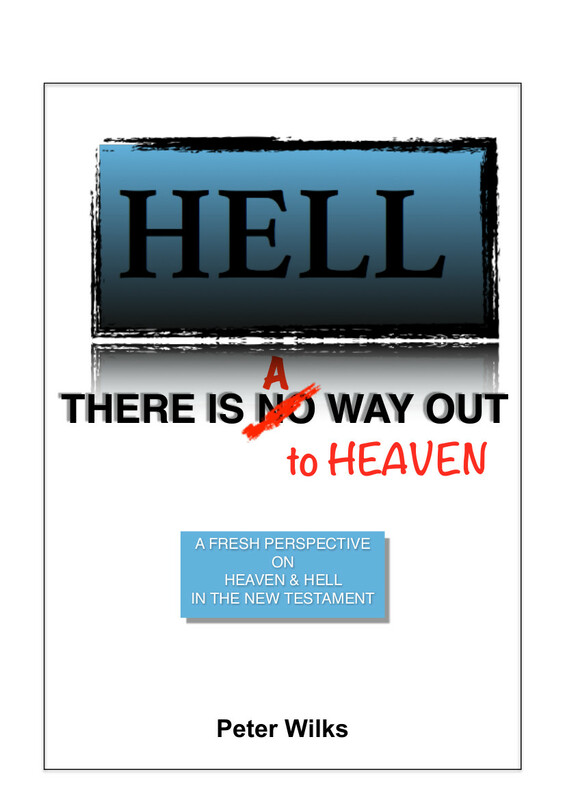 ‘HELL – There Is A Way Out.’ There is much confusion regarding the Christian religious tradition that teaches that unless a person is a ‘ believer’ before they die they will ‘go to hell for eternity,’ with no way out. The whole concept smacks in the face of a God of love and forgiveness that Christians proclaim. Such a view begs the question which I suspect many Christians and non-Christians ask. It is well known that many Christians actually will say that God is not sending anyone to hell, we send ourselves. However we lack good Biblical analysis of this difficult area. This book examines this topic and provides a robust perspective. Jesus refers to the word ‘hell’ more than anyone else in the New Testament. How do we interpret these hard sayings of His? Are Jesus’ words about love and forgiveness merely window dressing for a vengeful God? Many have tried to answer this question, and in doing so can end up in the universalist or annihilationist camp, neither to which do I subscribe. I suspect such ‘hell without reprieve,’ theological thinking may have been sustained over the centuries by the offence of the gospel, apart from the original root and Roman Catholic doctrine lurking in the background. The implications of this statement creates the main structure for the discussion of this book. In examining Jesus’ words on this subject, it is important that consideration is given to the context, so I also examine the word ‘heaven’ and it’s use by Jesus in the gospels. There is a greater context to the whole subject which I examine at the outset of the book, that of the fact that we began in God, you and I came out of the womb of the romance of the Trinity that was going on before time began. To enable me to fashion what I believe to be a reasonable, comprehensive, Biblical approach to this subject, I have endeavoured to keep in mind that what we believe about God does not define Him. What He believes to be true about you and me defines us and how we read and understand scripture.